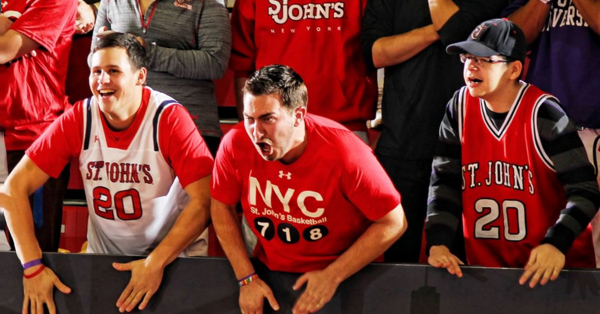 St. John's Red Storm Men's Basketball tickets are some of the best in the Big East Conference. Get St. John's Men's Basketball tickets to see St. John's Men's Basketball take the court this year with tickets from Ticket Galaxy! St. John's Red Storm Men's Basketball is a major team in the Big East Conference. Based in New York, St. John's Red Storm plays some of their home games at Madison Square Garden due to the school's location, making for exciting matchups and atmosphere every year. St. John's Men's Basketball also plays home games at their campus's Carnesecca Arena. St. John's University is in Queens, NY, one of five boroughs in New York City. St. John's is a successful Division I college basketball program. The Big East Conference is an iconic conference, even moreso before its shift from 2010-2013. Get St. John's Red Storm Men's Basketball tickets at Ticket Galaxy, and see a college basketball dynasty continue its legacy! Visit the official St. John's Red Storm Men's Basketball website for more information. Purchase your St. John's Red Storm Men's Basketball tickets at Ticket Galaxy! Choose your event date and click "Find Tickets" to bring you to our array of seating options. Select your tickets on the maps page by clicking the price box. From there, TicketGalaxy.com will bring you to our checkout. Get your St. John's Red Storm Men's Basketball tickets quickly and easily today! Ticket Galaxy is the Official Secondary Ticket Partner of St. John's Red Storm.